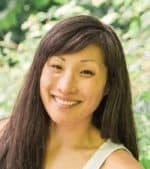 Watching your carbs? 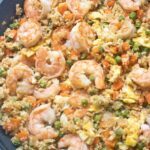 Then this Cauliflower Shrimp Fried “Rice” is the perfect, healthy, quick and easy meal that’ll satisfy that fried rice craving, without the rice! 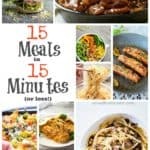 I LOVE this meal. Love. Not only is it incredibly healthy, but is sooooo easy. 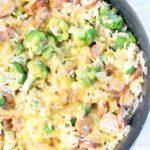 Who knew cauliflower rice was so delicious? 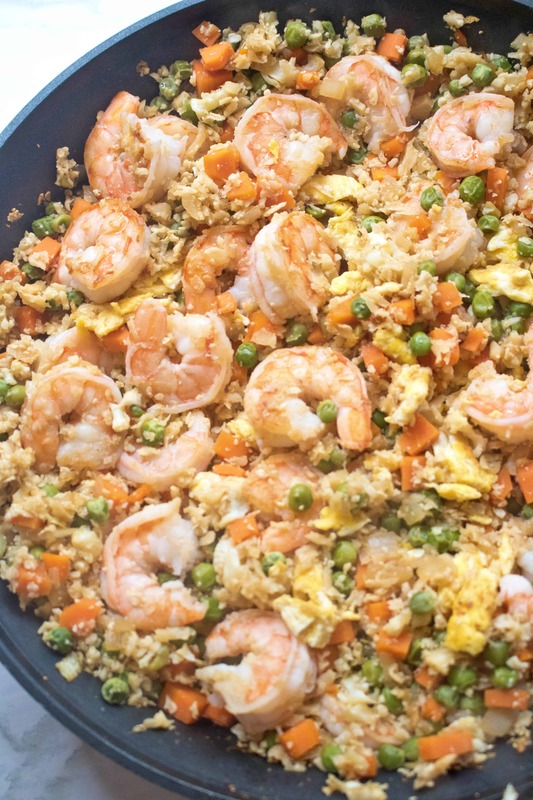 Better yet, who knew that you could make a Cauliflower Shrimp Fried “Rice” could be so freakin’ tasty? So I did! 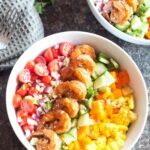 I just added some fresh shrimp because this baby has had some serious shrimp cravings. 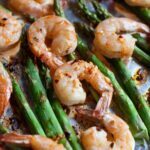 Coconut Shrimp Curry, and Sheet Pan Shrimp and Asparagus have been a mainstay on our weekly menu. 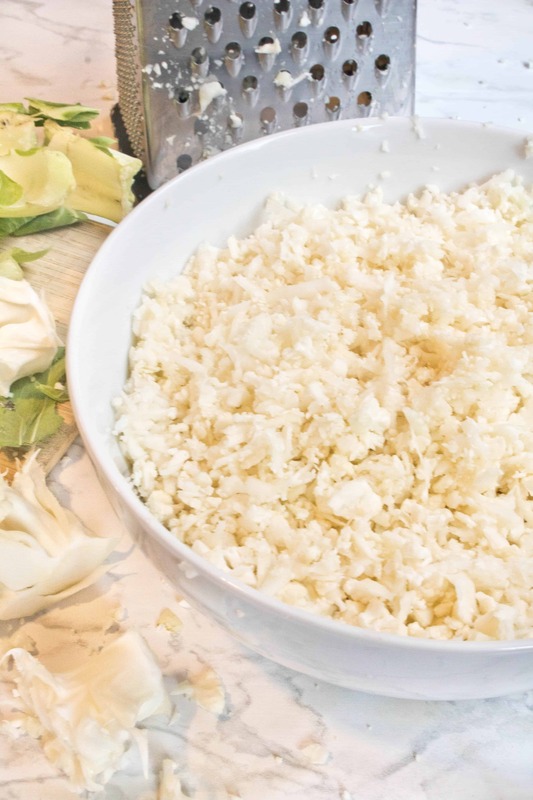 As easy as rice-ing the cauliflower is, it’s probably the most difficult part of this whole dish. The rest is just one pan goodness. Saute up the shrimp, scramble up a couple of eggs, cook the veggies and toss it all back together with an easy sauce and boom. 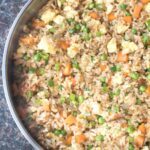 Fried rice deliciousness without the rice! Seriously, so good. So much so that I didn’t tell my husband that it was cauliflower until he had finished eating it. His response? “Whoa, really? Ok then I don’t feel guilty about having a second bowl.” Yup. That’s what I told myself, too! Watching your carbs? 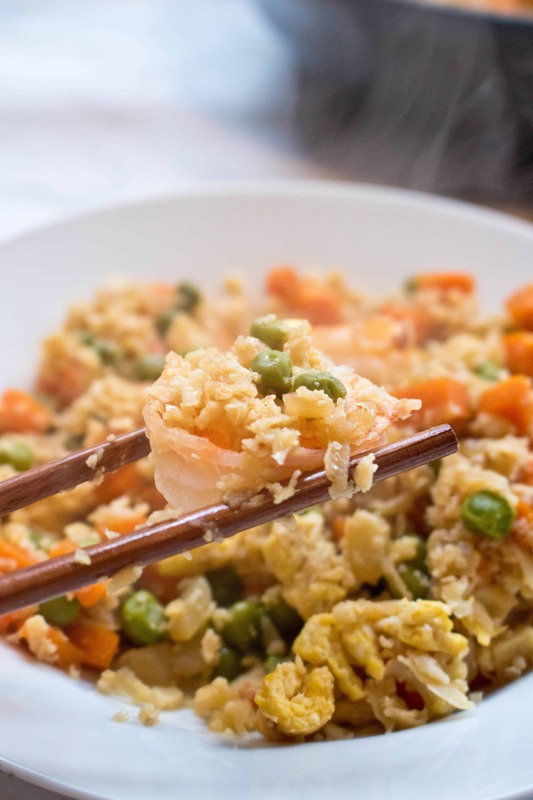 Then this Cauliflower Shrimp Fried "Rice" is the perfect, healthy, quick and easy meal that'll satisfy that fried rice craving, without the rice! In a large saute pan on medium heat, melt 1/2 tablespoon of butter. Add shrimp and cook approximately 90 seconds per side. Season with 1/2 teaspoon of salt. Remove from pan and set aside. Add remaining butter to pan, melt and then add eggs and scramble with remaining 1/4 teaspoon of salt. 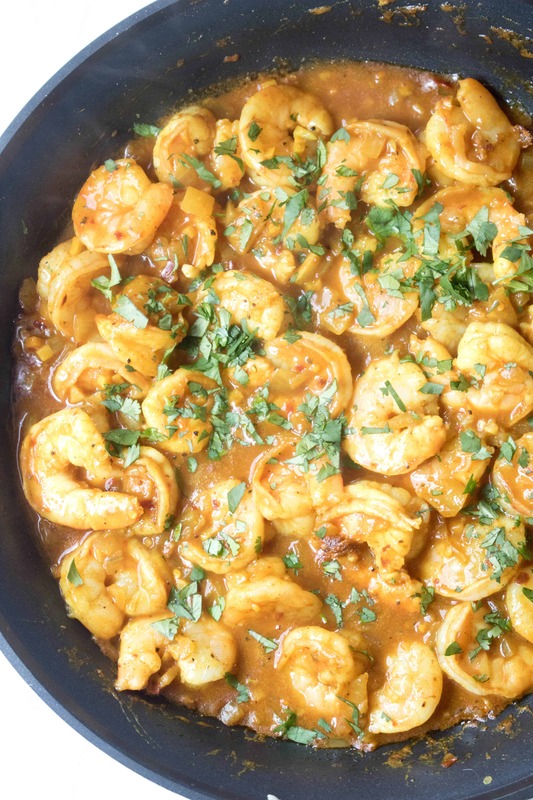 Remove from pan and set aside with the shrimp. 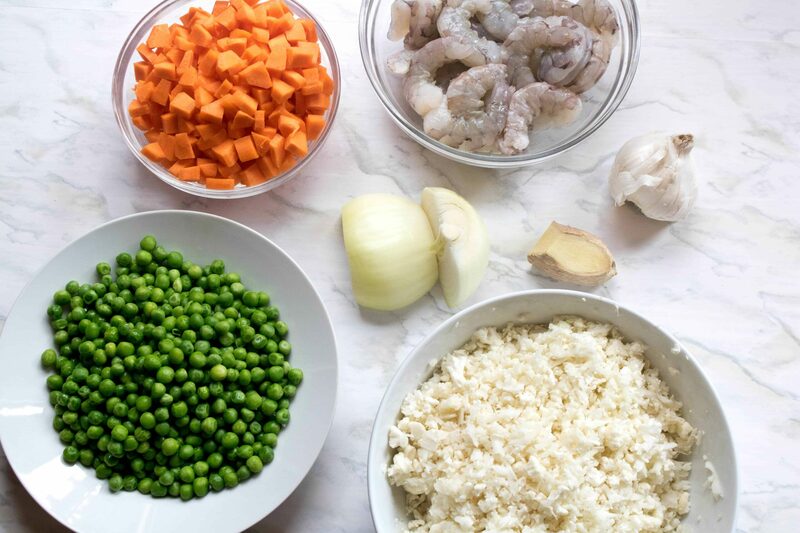 Add garlic, carrots, peas, and ginger and saute for about 4-5 minutes, stirring often. Meanwhile, combine soy and vinegar in a small bowl. Add cauliflower to saute pan, stir, and then add soy and vinegar. Turn heat to medium high stir again so everything is well combined and let "fry" for approximately 7 minutes. Stir and fry again for another 5-7 minutes. 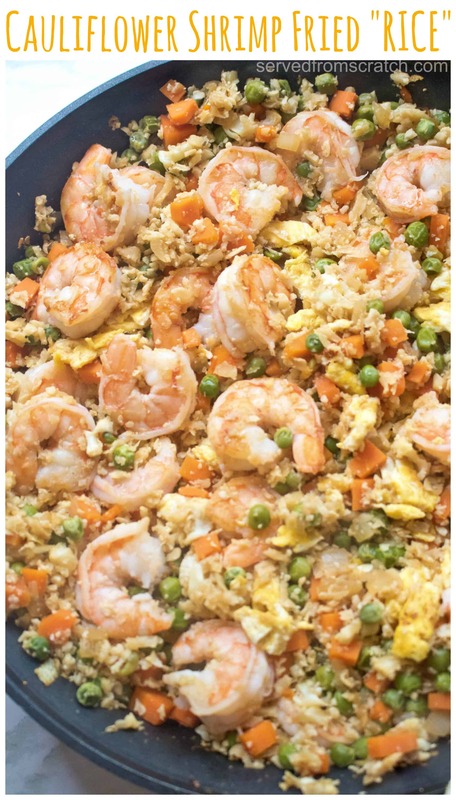 Add shrimp and eggs back to pan. 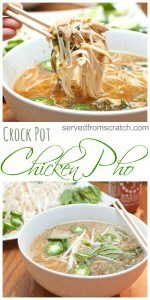 Stir to combine and top with sesame oil, stir and serve!